RIVERSIDE, Calif. — The University of California, Riverside Bridges to the Baccalaureate Program has received the 2018 Inspiring Programs in STEM Award from INSIGHT Into Diversity magazine, the largest and oldest publication in higher education addressing diversity and inclusion. The five-year grant launched the Riverside Bridges to the Baccalaureate Program, a new partnership between UC Riverside and RCC – both federally designated Hispanic Serving Institutions. 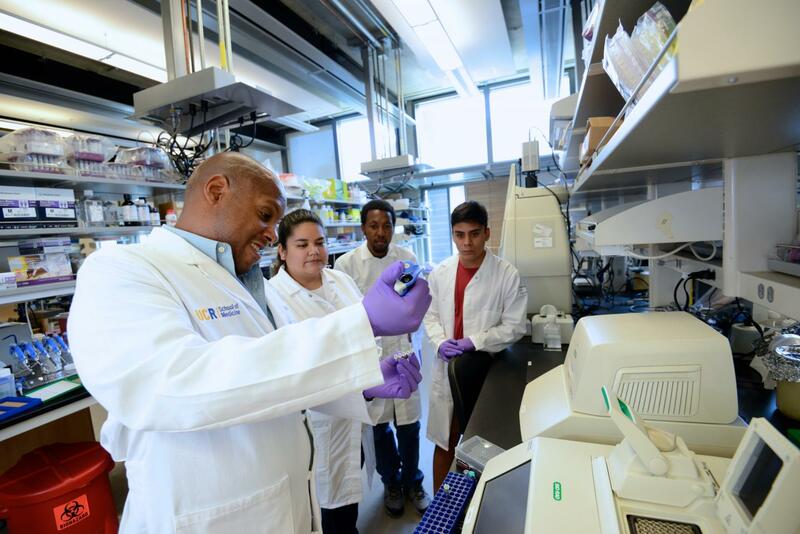 Byron Ford, a professor of biomedical sciences in the UCR School of Medicine, is the grant's principal investigator. Wolde-Ab Isaac, chancellor of the Riverside Community College District, is the grant's co-principal investigator. "We are very honored to receive this prestigious award as an INSIGHT Into Diversity Inspiring Program. It is testimony to the mission and genuine commitment of the Riverside Bridges to the Baccalaureate Program, UCR School of Medicine, and Riverside City College to increase the diversity of the scientific workforce," Ford said. "We are proud to honor these programs as role models to other institutions of higher education and beyond," said Lenore Pearlstein, owner and publisher of INSIGHT Into Diversity magazine. The Riverside Bridges to the Baccalaureate Program is responsive to UC system-wide efforts to streamline and strengthen the transfer process for students coming to UC from the state's public community colleges. The University of California, Riverside)is a doctoral research university, a living laboratory for groundbreaking exploration of issues critical to Inland Southern California, the state and communities around the world. Reflecting California's diverse culture, UCR's enrollment is now nearly 23,000 students. The campus opened a medical school in 2013 and has reached the heart of the Coachella Valley by way of the UCR Palm Desert Center. The campus has an annual statewide economic impact of more than $1 billion.